I have one child in middle school and one in high school. I am lucky that they both have a natural love of reading. 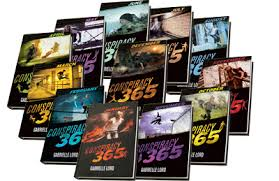 My son will find a series he loves and read every single book (Conspiracy 365 being the most recent). Once he’s finished, he’ll look for other books written by that author. My daughter mostly chooses her books based on her friends’ recommendations but once in a while she’ll still ask Ms. Amy at the Covington Branch what she should read next. 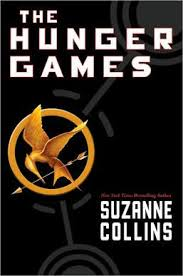 I always loved sharing children’s books with my kids but now that they are older, I really enjoy sharing some of my favorite adult and YA books with them. We are also able to discover new books together. All three of us read the Hunger Games trilogy. This led to so many discussions in our home. My kids immediately got that this was about so much more than kids killing kids. These books started conversations about how government works, the division of classes, white and blue collared jobs, how a small group can make a difference and so much more. 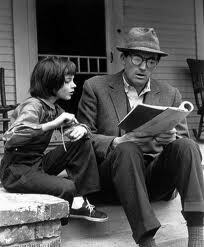 To Kill A Mockingbird is my favorite book of all time. My daughter took a stab at it in sixth grade but found it confusing. Now that she is in ninth grade she is trying again and loving it. I can’t wait until she finishes it so we can watch the movie together and discuss the book in-depth. I have decided to re read Flowers in the Attic since watching the recent Lifetime Movie. I’m hoping my daughter will want to read that as well. 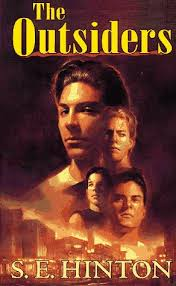 I am looking forward to The Outsiders being a book all three of us can share a love for. It’s fun to pick books that are also movies. We can read the book, discuss and then watch the movie together. What books do you enjoy sharing with your children?